Herbal Essences are popular for their scent. For many years since the old packaging, or since they first started, they have that unique and flowery, sweet, fruity scent. Back then they did not have many variety, but today they have a wider range: Long Term Relationship, Break's Over, Color Me, and more. 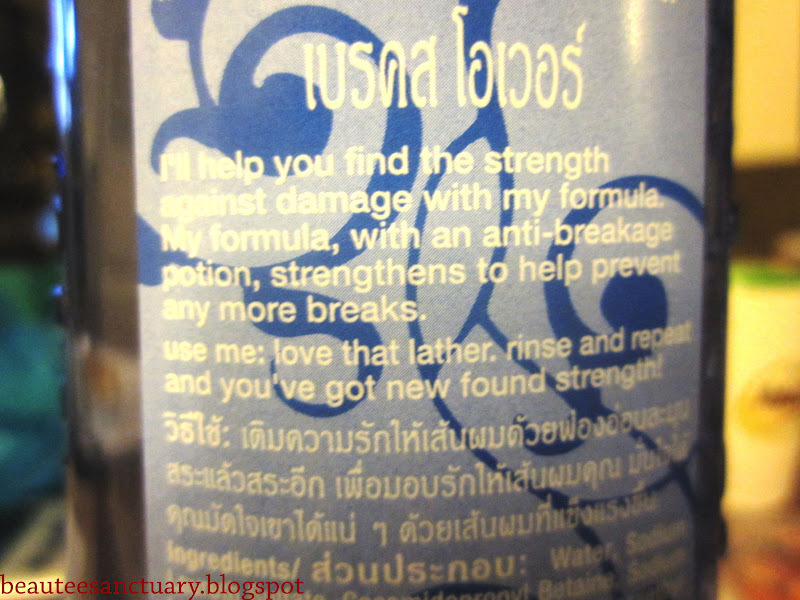 "I'll help you find the strength against damage with my formula. My formula, with an anti-breakage potion, strenghtens to help prevent any more breaks." Use me: love that lather, rinse and repeat and you've got new found strength. 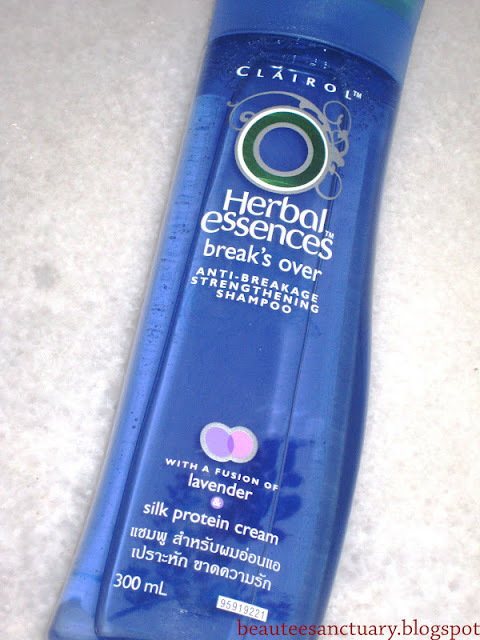 My first time using this shampoo was 3 years ago, when I stayed over my friend's place and I used her shampoo. That time I had terrible hair-fall problem and according to her, the shampoo did not heal, but also did not make the hair fall worse. So I tried it and she was right. The texture is gel based and very foamy. I put a drop of gel, mix with a little water and it becomes very foamy. This means I do not have to use a lot shampoo for my hair, which is cost saving too. During my hair washing, it helped untangle hair and hair felt slightly more manageable after rinsing with water too. However I can never leave the bathroom without applying conditioner. After washing, towel dry+a little air dry, I comb my hair. Combing has became a lot easier as compared to my previous shampoo. But I noticed one thing, if I use a little too much shampoo my hair drops more. So I try to use a proper amount. - Untangles hair, helps make my hair more manageable, easier to comb. - I have oily scalp, this shampoo does not help control the oil hence I've got to wash every day. Hi there, thanks for reading this post. If you like what you just read please do subscribe!